This section of the website contains information that residents of HML-managed properties need to know. Please review the topics below or use the search function to look up answers to specific questions you have. We are property management professionals with more than 50 years’ experience. We manage the communal areas of blocks of flats, mixed-used developments, housing estates and more. If you are reading this, it’s likely that your landlord, resident management company (RMC), housebuilder or developer have appointed us to manage the communal parts of the buildings and grounds on their behalf. Most importantly, we take great pride in helping ensure our clients and property owners live in a well-maintained environment. With offices across England, we aim to never be more than an hour away from the sites we manage, so we can use local contractors, services and knowledge to provide optimal services to our clients. Visit www.hmlgroup.com/find to get the contact details of your nearest HML office. Q: What do you need to know when reading this handbook? You’ll see that we refer a lot to ‘legal documentation’ in this handbook. Below is a brief summary of the documents mentioned. Q: What exactly do we do? We act on behalf of our clients to make sure the communal parts of their developments and properties are well looked after. We provide clients with advice and recommendations and act on their instructions. We ensure that our clients are able to fulfil their obligations which are set out in the lease and/or transfer documents for their properties. Services such as gardening, cleaning and general repairs are arranged by us. We also arrange the relevant insurances for buildings, plant equipment and the wider estate or property. All this is done in conjunction with the clients’ instructions. For many properties we also look after matters relating to the management company, including arranging meetings (like the AGM), filing the annual accounts and keeping the company records up-to-date at Companies House. Our wide range of ancillary services cover company secretarial services, insurance brokerage, surveying, site staff and more. It may be that we provide these services at your development, which allows us to tailor everything to the needs and desires of our clients and residents. It is important to remember that we only manage communal areas such as lobbies and landings inside, grounds and parking outside, so any issues within the flat or house are the responsibility of the property owner. To see where these boundaries are, please refer to your legal documentation. While we try to assist where we can, we don’t have the legal authority to maintain areas which have been demised to the property owner. For further information on the services are in place at your property, please speak to your property manager. Q: How are the services to your property or development funded? Residents pay service charges as part of their lease or transfer document. These payments fund the work we do on behalf of our clients. Often this is billed in advance to ensure there is enough money to provide the services required. Unpaid or late payments can have an impact on the upkeep of the communal areas at your property. To find out more about this topic, refer to the ‘Service Charges’ section of this handbook. Q: How do you contact us? When we take over the management of a property, we will introduce ourselves and our services in writing. This letter will contain the contact information for your local property manager, whom you are welcome to contact during normal working hours. The property manager will visit the site periodically to inspect the grounds and buildings. They ensure that the property’s condition is at a high standard and will make note of anything that requires attention so that it can be addressed. Please let your property manager know if there is anything you would like them to look at when they visit. Meetings will also be held throughout the year, including the AGM for the management company in place (where applicable). These are good opportunities to raise concerns and discuss what you want to achieve at the property with ourselves and your fellow residents. To find answers to frequently asked questions, visit www.hmlgroup.com. To contact your local office, visit www.hmlgroup.com/find. In addition, you can interact with us on social media. There are independent organisations which ensure that the industry operates well for people who interact with it. 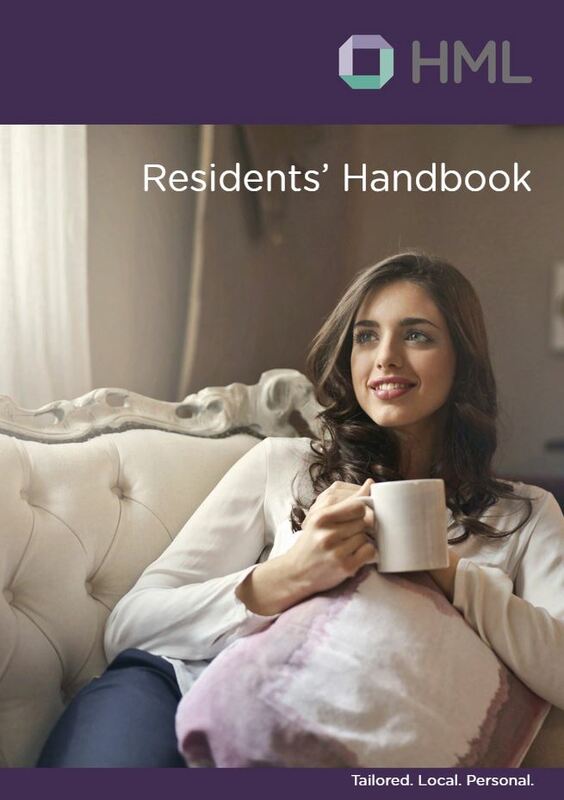 We are members of the Association of Residential Managing Agents (ARMA), endorsed by the Leasehold Knowledge Partnership (LKP) and follow the RICS Service Charge Residential Management Code to ensure our services are up to standard. Our accounting procedures follow the relevant laws and statutes, and we are regulated by the Financial Conduct Authority. We are also held accountable by our clients, and of course, residents like you. Feedback is welcomed, so please get in touch if there are areas you feel we could improve.